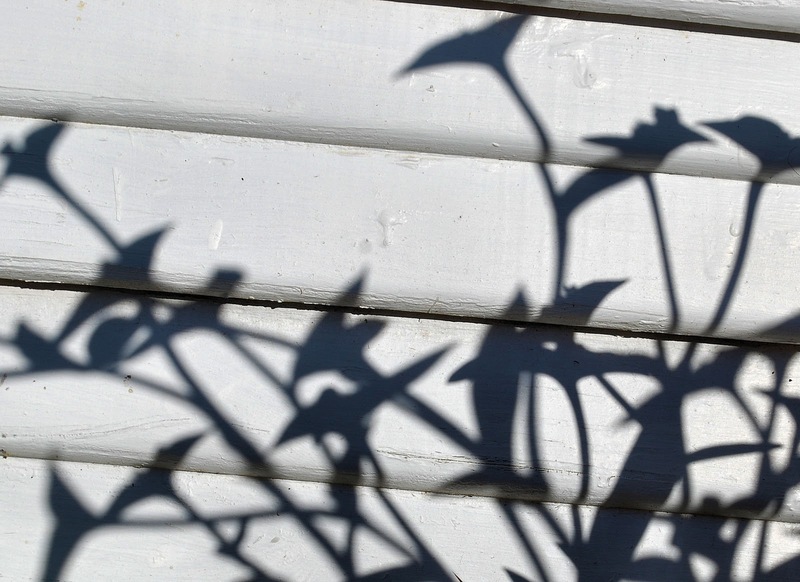 With a freeze warning issued for last night and early morning, this may be the last time the outdoor plants cast a shadow on my house. It was cold yesterday, but at least the sun was out. As the college football regular season comes to a close, it looks like LSU and Alabama will hook up again in the BCS Championship game in New Orleans. Here are the bowl projections from CBS Sports. Sunday, December 4th is the MetroPCS Dallas White Rock Marathon. I'm not ready to run a marathon yet, but I will be running a relay leg with Brian and 3 others from work. My leg of the race is 6.5 miles. I remember going to Saint Louis Billikens basketball games in the late 70's, early 80's. They never were any good. This year they are off to a 6-0 start after winning the 76 Classic Basketball tournament in Anaheim, CA. They should be ranked in the top 25 when rankings are released later today. It looks like the NBA lockout is over. Now starts the rumors and free agent signings. Will the Mavericks be able to re-sign Tyson Chandler? Do they Mavs want to re-sign him? City Bank Stadium in Forney will host at least one more high school football playoff game. This Friday at 7:30PM Corsicana takes on Kilgore in the Class 4A, Division 2, Region II final. Forney High School graduate Caleb Hanies first NFL starting for the Bears got off to a shaky start yesterday against Oakland. He threw 3 interceptions but settled down threw 2 touchdown passes and almost led his team to a win. Terrell High School graduate Brice McCain saved the game for the Houston Texans against the Jacksonville Jaguars. With less than 2 minutes to go in the game the Jags were driving for the potential game tying touchdown when McCain broke up a pass to Mike Thomas. 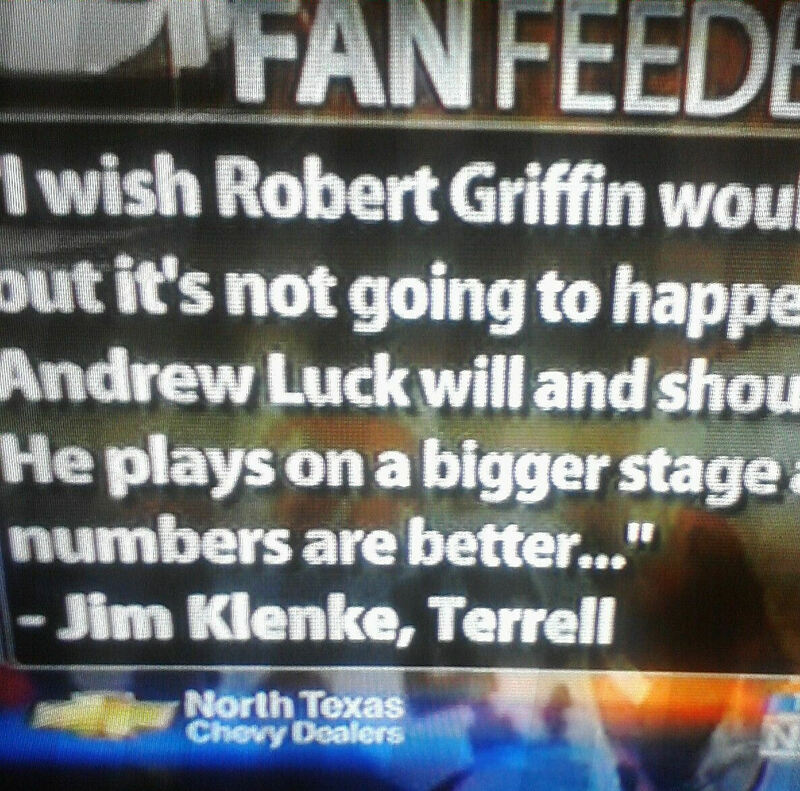 WFAA the local ABC station in Dallas runs a fan feedback segment on their Sunday night sports show. Yesterday the question was who should win the Heisman Award this year. I submitted my answer and they used it on the air. 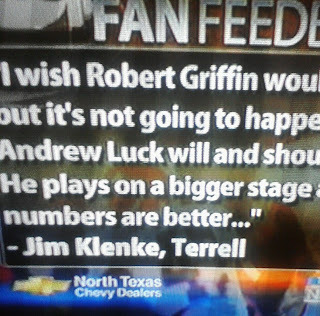 I wrote that I wanted Robert Griffin III from Baylor to win, but Andrew Luck should win based just on numbers. He also will win because Stanford has played on a bigger stage and had more attention this year than Baylor. I got a jury summons in the mail for US District Court. Its not one where I have to show up. I am suppose to call in to see if I am needed the following day. I dont mind serving on a jury, but the dates are Dec 16th-Dec 30th, over the Christmas holidays. I submitted to get it postponed. Today is the first day high school soccer teams can begin practicing. Have a great Cyber Monday and week.